I am thinking about change and about how I thrive on change and diversity. I am thinking about how some people cope with change where others flee. I am thinking about how I have always been an 'early adopter' and 'pushed the envelope' in my life as a musician and as an educator and in doing so have gained and lost friends depending on the other persons ability to cope with change (and with me). I can be intense, I can be dismissive, I can be impatient, I can be confrontational......but I thought I essentially spoke the same language as everybody else. Not so.....somebody has 'moved my cheese' and I am left searching for new cheese and a common language with which to communicate my needs! It started with Clarence Fisher blogging about a 'A New Language'. 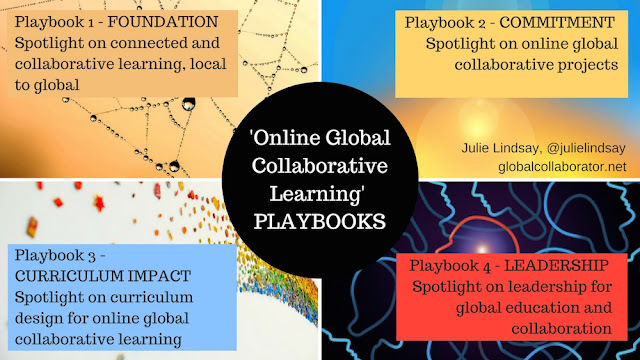 In response to my 'day in the life of a global, connected educator' post recently he discusses the emergence of a new language and a new form of learning using online tools for connectivity. 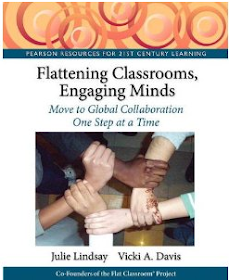 As Clarence says, "I first want to argue that the learning of a student in a globally connected educator's classroom is both quantitatively and qualitatively different from the learning of a student in a different classroom. Not only do I believe that these two students would obviously be learning very different things, but that the actual structure of their learning is different. They have a different experience of what learning is, of what counts as knowledge, and of how learning happens." 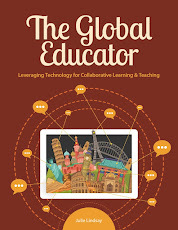 He then goes on to talk about a new type of digital divide where "Globally connected educators believe that learning happens in different ways, using different tools, and in different spaces and times that teachers not involved in learning in these ways may not see." In response to Clarence I commented to his blog, "Your comments here have really hit a nerve with me as I firmly believe this is a new language and a new approach to learning. 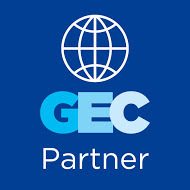 What we are doing is taking the best pedagogical constructivist approach, wrapping it in holistic, multicultural and global learning and tying a neat Web 2.0 bow around it. You are right, I am having more difficulty discussing this with my fellow face-to-face colleagues and finding the 'new language' I speak a barrier. I am looking for solutions to this dilemma as being a 'technology leader' I want to be innovative and creative but at the same time accessible and not alienate others." To which Clarence replied, " [my statement in bold] ....is the most succint, total, one sentence description I have seen of what we are trying to do. Not so simple sounding though is it....?" Meanwhile, Miss Profe is in the conversation with, "The fundamental dilemma that all of the discussion re: Web 2.0 creates for me is, does it really elevate the cognitive discourse in our classrooms?..........I just get the feeling that if I as an educator roll in on Monday morning tricked out in Web 2.0 fashion, that somehow intellectual curiosity and spark will burgeon amongst my students. A teacher who uses textbooks and worksheets may be creating real learning opportunities in her classroom, and to suggest that because her neighbor is using Web 2.0 is somehow providing his students with a more phenomenal learning experience. I think we need to be careful with this type of thinking." To which Clarence replied, "Granted and agreed. 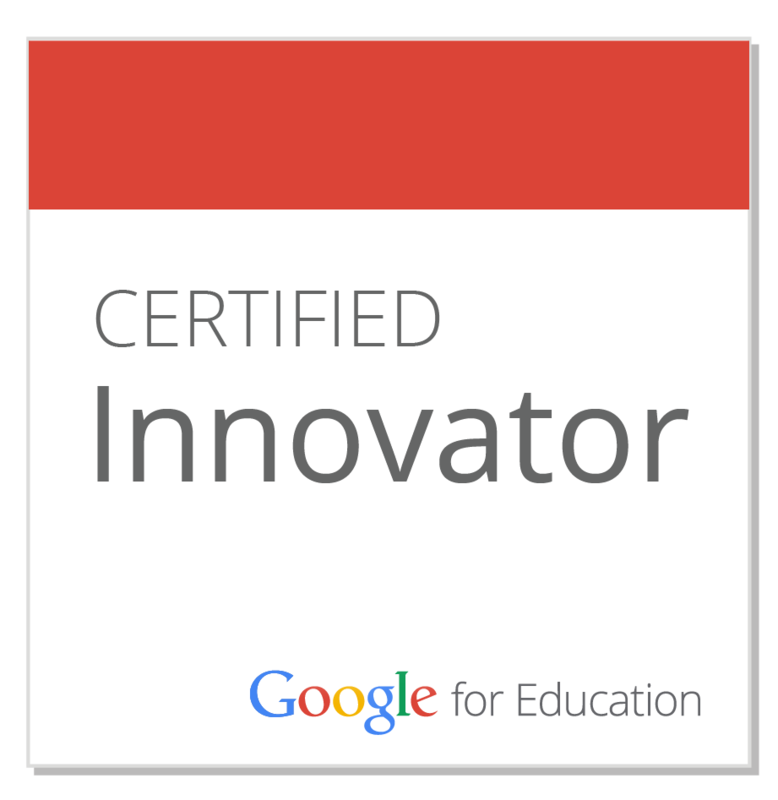 But, I do believe that I have a much greater opportunity of creating learning experiences that are meaningful, connected, and authentic using these tools than I do without them." So, we have new ways of applying old concepts with our students that are potentially more powerful and meaningful. Connectivity ultimately breeds deeper understanding of how the world works and breaks down pre-conceived notions of what is black and white including prejudice and notions of stereotypes. Moving along....at our secondary school staff meeting this afternoon we discussed how to revive the apathy and malaise engulfing our senior students. Why do they prefer to sit in the student lounge drinking coffee rather than get themselves promptly to a classroom 'on time and ready for learning'? Why do they not hand in their assignments 'on time' and under achieve? There was talk about 'punishment' for non-conformity and talk about 'imposing penalties' for non-compliance of school-imposed codes of behaviour. There was a lot of talk about how we as educators can 'control' this situation and make it better through coercion and force. Unfortunately there was very little talk about what methods we could be using to help improve the learning environment in the school, or what techniques we as a school and as a teaching faculty could look at to motivate and inspire the students, given the circumstances of a face-to-face environment. When one teacher asked if anyone had done any study on 'learning' and best-practice pedagogy for this situation there was silence (!!??). I said there was some excellent material available to do with computer games and learning....to which there was also dead silence. Yes, I know what you are thinking. These are teenagers, they need the structure and discipline, they need to be told where to go and when to get there all day. But they are also digital natives and thrive best with a gadget in hand and online. However the comments from my colleagues that disturbed me the most were based on getting rid of the technology. "When they do detention (punishment) they will not be allowed to take their laptops and work", "We should ban the laptops for a month"........ control, confusion, .......dismay on my part. I do not speak this language. I do not want to remove the tools that link these young people with the real world. Moving along......Stephen Downes in his rebuttal post to slogans for 'the way it is' and 'the way it will be' The issues in front of us, talks about the concept of 'the illusion of change' and states, "The recent 'School 2.0' movement is a good example. By locking into the concept of 'school' the proponents, while looking for all the world like they are enbracing change, are in fact freezing the state of education into an archaic past, where the school is the centre and where everything else - including the students - revolve around that central concept. The idea of 'school 2.0' by definition eliminates as out of scope any concept that reduces or eliminates the importance of the school (and by extension, the elements that constitute a school, such as classes and curricula, teachers and lessons)." I admit I aspire to have a fuller understanding of Stephen's writings but what I think he means here is that by continuing to use the term 'school' with its inherent and associated baggage we are in effect blocking our chance of educational transformation. As part of the 'new language' we need to be disassociating ourselves from the old concepts and thinking out of the box rather than putting old labels onto new ways of working. That is what I want to do. I can think outside the box, I am creative and I embrace change to the extent that I know and feel that our educational system is letting us down. It is not coping and therefore we are not coping with the needs of our students. Yes, I believe 'intellectual curiosity and spark' can be aroused in our students if we provide interest and stimulus for discourse. What is your 'new cheese'? Do you have others who speak the same language?